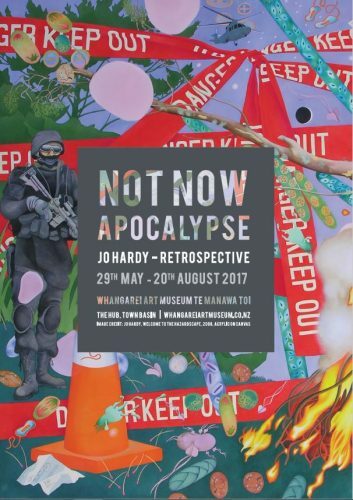 Whangarei Art Museum – Te Manawa Toi is honoured to present NOT NOW APOLCALYPSE: Jo Hardy Retrospective from the 29th of May – 20th August 2017. 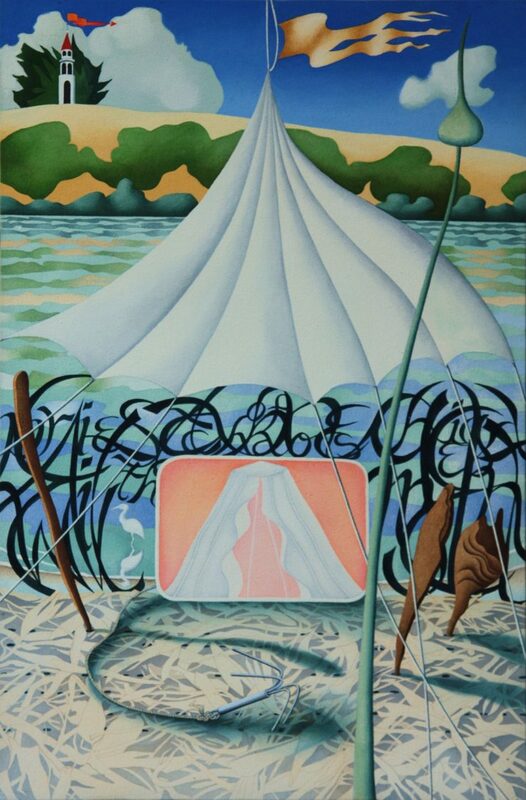 Hardy attended Ilam School of Arts and spent several years exhibiting in Christchurch, she then moved to Northland in the late 70s where she continued to paint more than 600 paintings. Hardy also fell in love, married, became a mother, a gardener, a writer, a member of a rural community and, in 2003, was widowed. Hardy underlined a freedom of consciousness; borrowing aspects of reality and using them as metaphors in a parallel painted universe. 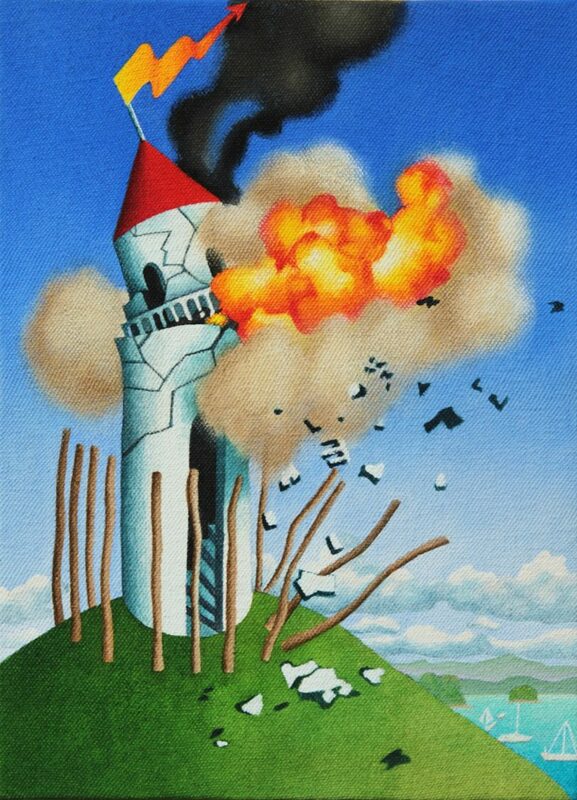 She believed we each invent reality as we go along; painting is one of the ways to do it. “I am interested in portraying both what is and what is not. 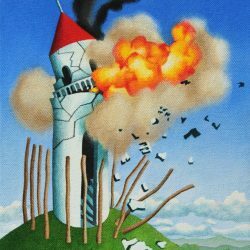 My pictures are a deliberate record-keeping of fleeting minutiae, memories, dreams, attempts to depict that which has no fixed visual form and narrative fiction.” – Jo Hardy, 1998. 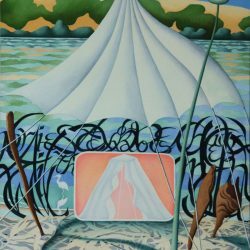 Hardy’s paintings are lyrical narrative works painted with acrylic on canvas. She worked on her knees on the floor, as if at prayer. Slowly, with care and precision, she built up thin wet layers of coloured washes, tickling them up until they glow. 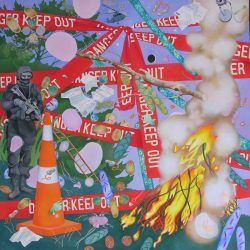 Before Hardy passed away from cancer in late July 2016, she gave her blessing to the Whangarei Art Museum to curate and develop her retrospective exhibition bringing 50 years of art making together in one space. 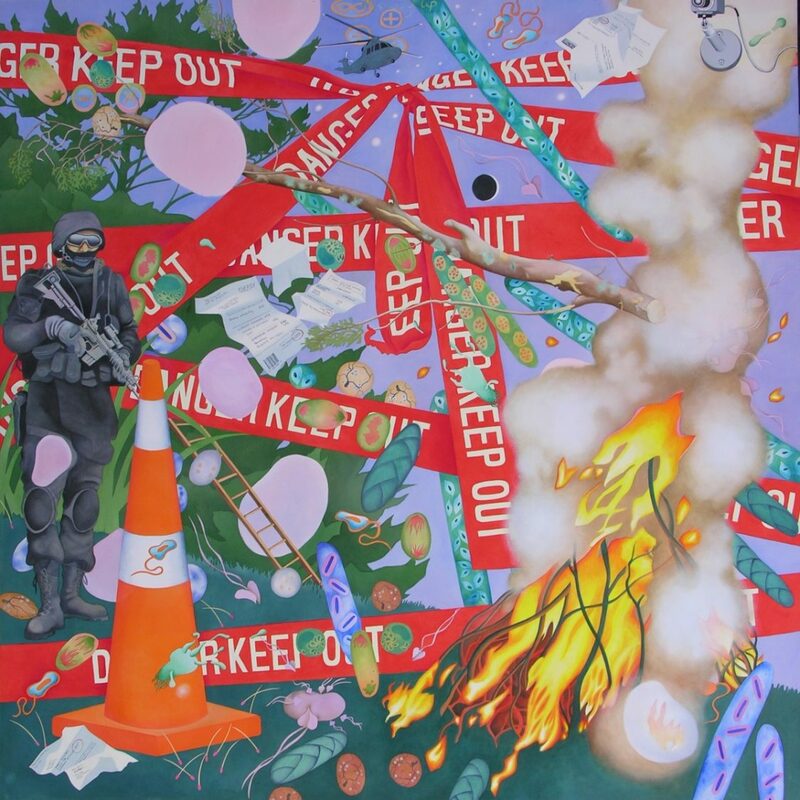 Her retrospective includes a large selection paintings as well as some exquisite lithographs that were produced in the 80s and 90s at Te Kowhai Print Trust – a community printmaking facility based at the Quarry Arts Centre in Whangarei.